Hundreds march through Old Town Eureka in the third Eureka Women's March on Saturday. KHSU's Natalya Estrada covered the 2019 Eureka Women's March in Old Town Eureka this Saturday. For the third year in a row, women in Humboldt County marched in synchronicity with the nation in the Eureka Women's March. While the organizers of the march started and ended on a divided front, the event still took place, rain or shine. Most knew of the controversy surrounding the march—which in turn had an incredibly smaller turnout than the previous two years. The numbers fell in the hundreds rather than the thousands, but despite the arguments with two organizing groups, women like Margaret Emerson showed up to Madaket Plaza, sign in hand and ready to rally with the crowd. Emerson was joined by half a dozen other women huddled under umbrellas and white canopies waiting for the rally to begin. One of the main troubles of the march was the notion that its leadership and representation was “overwhelmingly white." This idea and statement plagued the march’s reputation and divided many who felt conflicted on whether or not they should attend. Bernadetter Lincoln, far left, stands with her companions at the Eureka Women's March on Saturday. Bernadette Lincoln, who identifies as Tlinket from Alaska, Crow from Montana and Filipina, said she decided not to boycott the march nor buy into divisiveness. Eureka Women’s March speaker, Aundrea Stuckey agreed and was welcomed to the main stage area. Stuckey identifies as a queer, multi-racial black woman who grew up in Humboldt County. Dressed in a red coat to represent missing Indigenous women, Stuckey revealed to the crowd that she was nervous to be speaking for the first time at the march. She thanked the Wiyot Nation for the blessing to gather in Eureka and to have a conversation about issues affecting the community. Stuckey said her father, who is black, was mostly absent from much of her childhood. She said he struggled to live within the mostly white and rural world of Humboldt. This left her mother, who is white, to care for her. A woman from the crowd holds up Aundrea Stuckey's speech so that it doesn't blow away in the wind and rain during Eureka's Women's March on Saturday. Stuckey then acknowledged the racism that hasn’t changed since her ancestors came to Humboldt County, escaping the Jim Crow Laws of the South and finding refuge in the Humboldt logging industry during the 1960s, which she explained at that time did not always discriminate towards black people. Women make their way through the march in Old Town Eureka, passing the historic Carson Mansion and pressing onward toward the end of the Eureka Women's March. In total, three women spoke at the rally before leading the march through a designated route in Old Town Eureka. All three encouraged the marchers to show up for the Martin Luther King Jr. Rally and March starting at the Adorni Center in Eureka on Monday morning as well as fight and advocate for Indigenous people, undocumented immigrants and marginalized communities within the region. Eureka Women's March: Is it Authentic or Convenient? 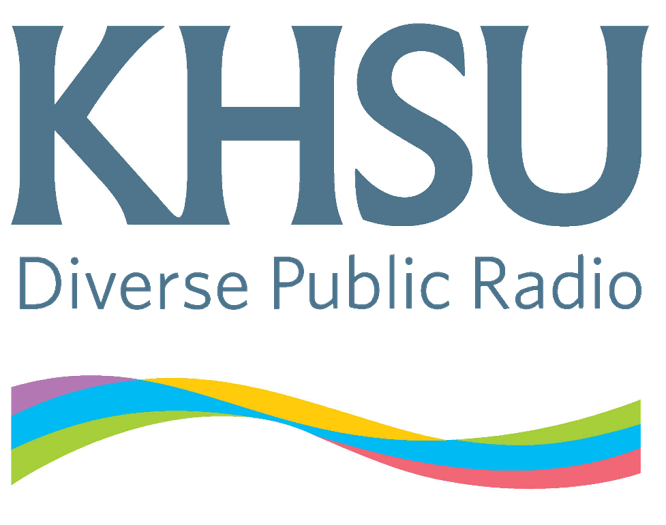 KHSU's Natalya Estrada talks with organizers about the conflicting messages leading up to the canceled and then revised 2019 Eureka Women's March. The Eureka Women’s March was canceled and then it wasn’t. While the revised march is set to take place this Saturday, some are not convinced that the rally will represent all women and have decided to boycott the event which historically brought one of the largest crowds, close to 8,000, to the Eureka Waterfront. Lorna Bryant hosted a special Race Beat Radio town hall. Local officials, Humboldt State representatives and spokesmen from the HSU organization, Brothers United, provided official statements related to the David Josiah Lawson murder case to quell fears, rumors and misinformation. Officials from Brothers United, the City of Arcata, the County of Humboldt, Humboldt State and UPD discuss the David Josiah Lawson murder. Five local women express their feelings, thoughts and experiences of facing racism daily in Humboldt County in this KHSU special feature.